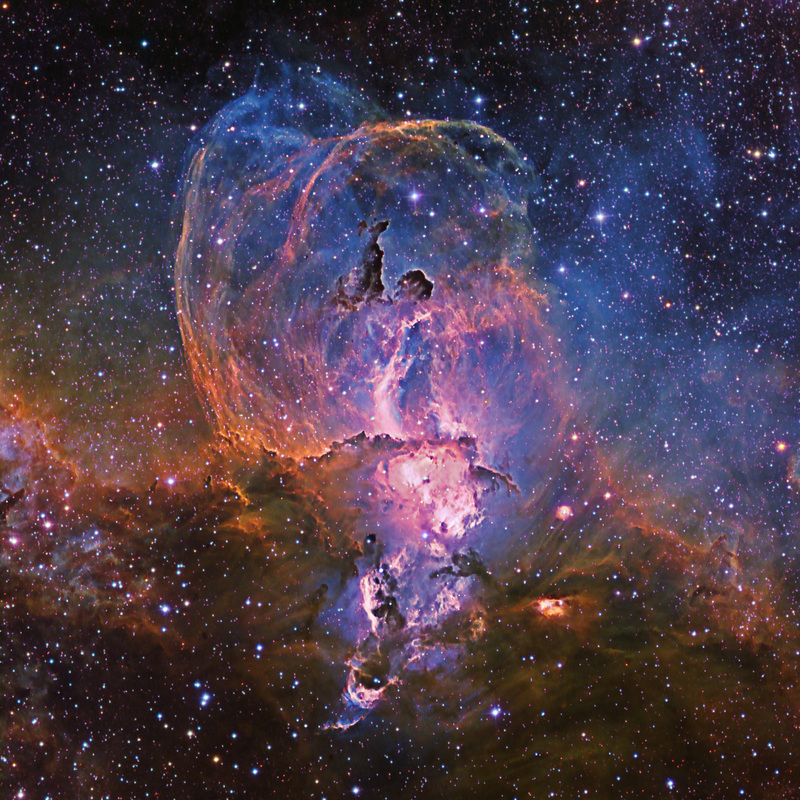 NGC 3576 is a most unusual emission nebula in the southern constellation of Carina east of Eta Carina about 9,800 light years distant. �It shows grand “loops” sculpted from strong stellar winds from young, hot stars. �These “loops” are enormous, about 100 light years across. There are also numerous small, dark clouds, Bok Globules, where dust and gas are so dense that new stars are likely to form within them. And, of course the centerpiece is the “Statue of Liberty”. �This image was made from 13 hours of data from H-a, OIII and SII narrowband filters to highlight the intricate structure�of the nebula, and 2 hours of RGB data for star colors.